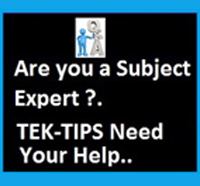 In this section of TekTips, you will find video tutorials which will help you in accomplishing a particular task. Videos includes programming tips, Operating System configuration task videos, Videos related to configuring the hardware etc. In this section you will find video tutorials that explains different concepts of C++ like inheritance, polymorphism, templates, exception handling, function and operator overloading etc. Bookmark this page for your ready reference. In this section, you find VC++ task related video tutorials such as database programming , graphical user interface programming, network programming, component programming, multi threaded programming etc. In this section, you find C#.NET task related video tutorials such as database programming , graphical user interface programming, network programming, component programming, multi threaded programming etc. In this section, you find VB.NET Programming task related video tutorials such as database programming , graphical user interface programming, network programming, component programming, multi threaded programming etc. In this section, you find Java Programming task related video tutorials such as database programming , graphical user interface programming, network programming, component programming, multi threaded programming etc. 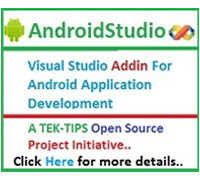 In this section, you find Android Application Programming task related video tutorials such as database programming , graphical user interface programming, network programming, component programming, multi threaded programming etc. In this section, you find Device Driver Programming Related Video tutorials such as developing a very basic driver and communicating from a user mode app, developing and debugging debugging kernel mode drivers etc. 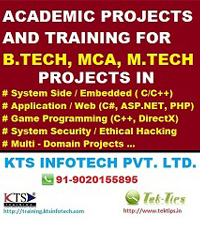 In this section you will find videos related to tools which will assist you in programing. The videos includes tools like Version Controlling system, issue tracker, project management tools, build automation tools etc. This section includes videos related to the Operating System tasks like how to configure a network interface card, system restore etc. This section includes videos related to the computer hardware configuration tasks, hardware trouble shooting etc. In this video tutorial section, you can find videos related to visual basic 6.0 application development.